Whoo hoo! 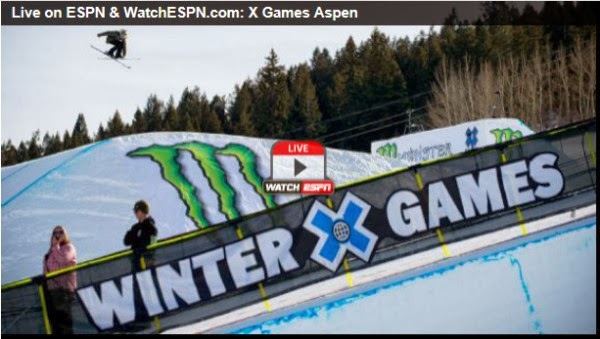 The Winter X Games on ESPN!!! Hey there. The Winter X Games are here!!! Don't have ESPN? Can't watch it on TV? No worries! ESPN has you covered! You can catch all the action at ESPN. You can catch all the previously recorded streams on ESPN or you can catch the live streams of events on ESPN. It's a great way to catch up or watch events on your laptop or mobile devices with an internet connection. But it doesn't just have to be the X Games. There are many live events that ESPN is constantly streaming so I strongly suggest you head on over there check out thier schedule of upcoming events. Being a sports fan, I don't want to miss events and with ESPN live streaming, I don't have to. And neither do you. Later! I would use it with my pc as I gamed or watched movies. My son would be over the top with this! would love to win this for my gaming brothers! These would be great to win. I would use it for gaming, at moment COD. I would use these for gaming. I would use this headset listening to my favorite songs! my son wants a pair of these for his PS3,,he would love them,thanks! I would use these for listening to music and for my pc games. Love to win this for my boy. I would use it for music and pc games.